Next to RSI-2 My eyes are always around CCI-4 Strategy. Unfamiliar with the CCI? Read this StockCharts.com primer. In a nutshell, CCI looks at how far an asset has diverged from its moving average relative to how far it “normally” divergences. CCI usually oscillates between +/-100, but will exceed those levels when the market makes a significant move. 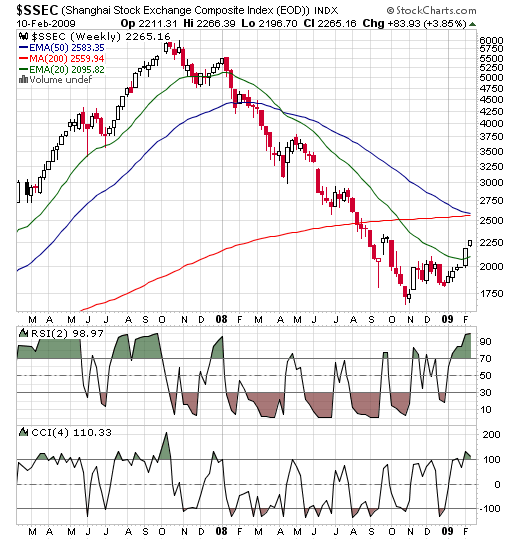 RSI-2 of chinese market is at 98.2 shows extremety overbought markets. 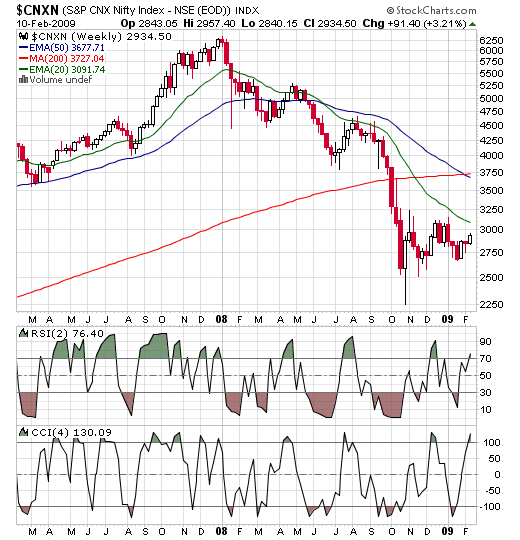 Even Weekly charts of CCI-4 is above 100 shows that the rubber band of the Indian Market is getting overstreched. Possibly a Bear Trap for both chinese and Indian Markets.